tim. works with a wide range of professional referral partners and intermediaries who seek to help their own clients in getting access to cash. 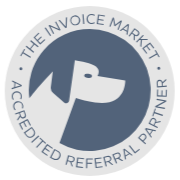 If you specialise in being a business advisor to small and medium businesses, then you should partner with The Invoice market (tim.) to help your clients get access to cash flow funding that they need. We’d love to understand the types of businesses and owners you work with so that we can tailor a unique funding solution for your clients, be it Invoice Finance, Supply Chain Funding or even Import Finance. We’ve created innovative funding solutions for hundreds of businesses, by providing over $350m in funding to small businesses across the country. All this without the need for property security. Our application and approval process is quick and simple with funding available 24 hours after account approval. tim. 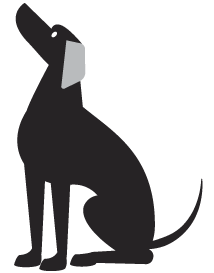 will support you with marketing to clients, finding new clients and growing your business. Our referral partners earn high, trailing commissions, and because our clients fund on an ongoing basis your commission is paid monthly for as long as your client continues to fund with us. Our customer support team is the best there is! We’ll help you and hand hold your client to ensure that they are 100% happy with the solution we provide. Nothing is too much trouble for our support staff. Our proprietary technology allows you to login and monitor the status of your deals 24/7, your commission paid and you get a real-time figure of your projected trail commission for the month ahead. We have easy to use tools to guide you through the whole process. Register as a partner – Fill out the registration form and we’ll set you up with access to our Partner Portal and provide personalised training. Start marketing – Market our solutions to your clients and we’ll customise the best cash flow solution for them. Build your revenue streams – Build ongoing trail commissions from all of our products with no maximum payout. Helping you find smarter ways to help your client to their own cash and avoid the pitfalls of borrowing funds. tim. is always on hand to help in a fairer, more flexible and far more affordable manner. Contact a tim. expert today.